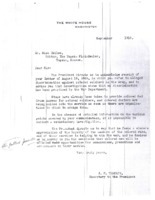 Creator is exactly "Tumulty, Joseph P. (Joseph Patrick), 1879-1954"
Joseph P. Tumulty sends Woodrow Wilson a cipher message regarding Columbia. 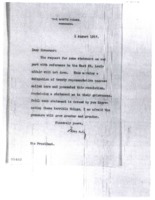 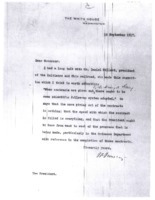 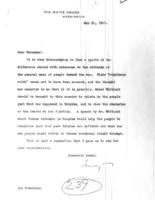 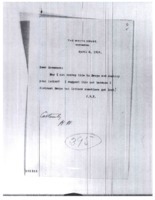 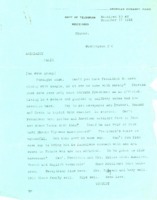 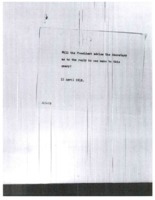 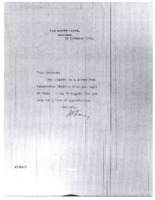 Joseph P. Tumulty replies to Woodrow Wilson regarding the Morgan announcement. 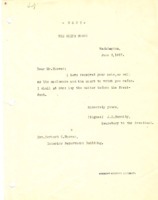 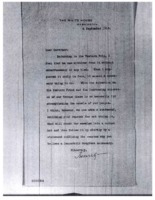 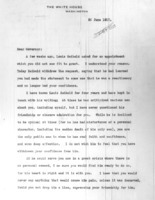 Joseph Tumulty writes that Furnifold M. Simmons wishes to speak to Woodrow Wilson on the phone before the caucus meets. 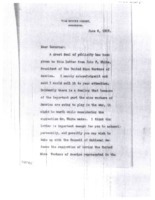 Joseph Tumulty tells James Kerney that Woodrow Wilson will not accept the proposed plan. 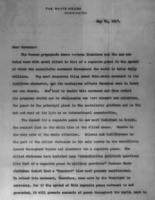 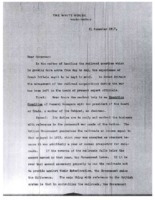 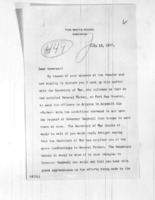 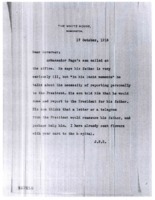 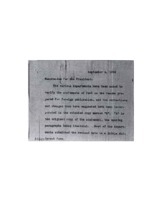 President Wilson's secretary informs him about Page's ill health. 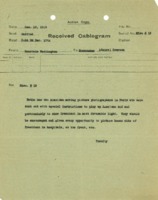 Departments have been asked to verify facts. 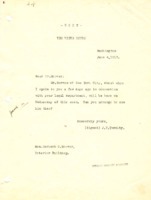 Joseph Tumulty thanks Grayson for his tender care for all who have been in his care at the White House, and especially to Woodrow Wilson. 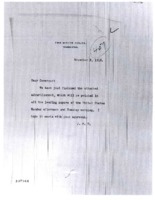 Joseph Tumulty tells Nick Chiles of plans to address discrimination against African-American soldiers. 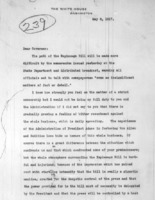 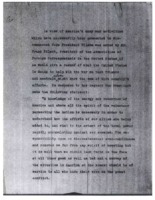 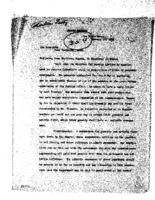 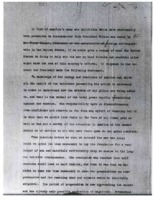 Tumulty is warning Wilson of the unpopularity of the Espionage Bill. 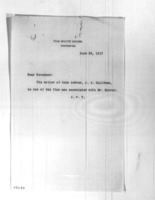 On behalf of Woodrow Wilson, Joseph Tumulty thanks Frank Massie for his letter. 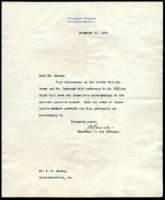 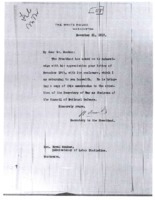 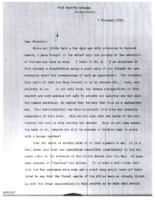 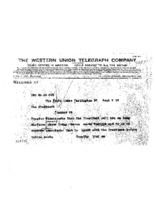 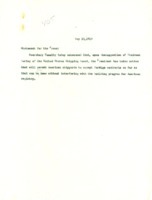 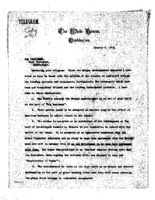 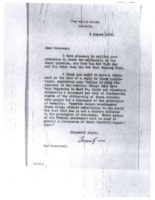 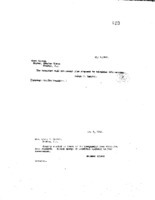 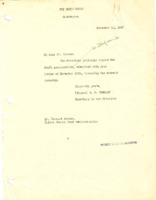 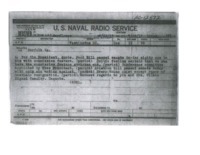 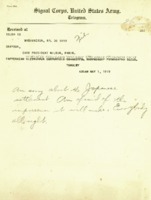 Joseph P. Tumulty replies to Benjamin Strong Jr.'s letter regarding the liberty loan. 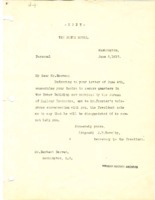 Joseph P. Tumulty writes Benjmain Strong Jr. to say that the President cannot meet with him, but would like a letter. 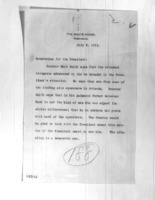 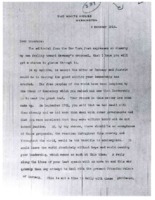 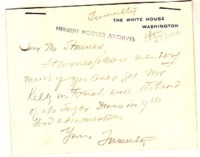 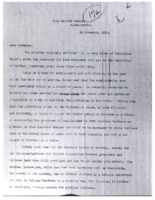 Joseph P. Tumulty sends Benjamin Strong Jr. a letter of introduction to the American ambassador at Paris.